That started the july 28th 1998, 10 years ago (Google didn't yet exist!). 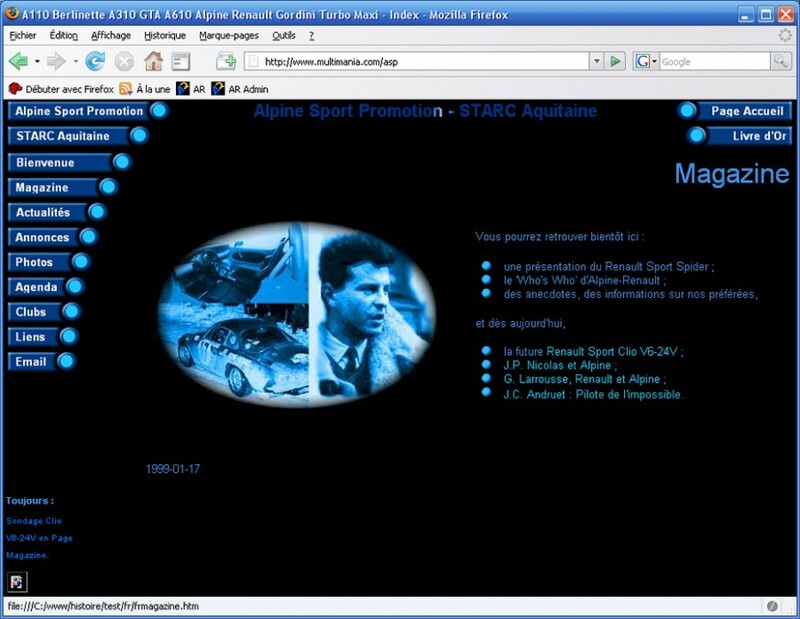 The first web page created with Word was hosted by one of the first free french hosters Mygale.org (renamed Multimania.com several years ago, and now under Lycos group). Some days after, this page was translated in engish and a link to my first email address was added. Then, when the web site was visited by around 10 people per day, I added the first class. adv. Later, I wrote some page concerning the meetings ato which I participated. 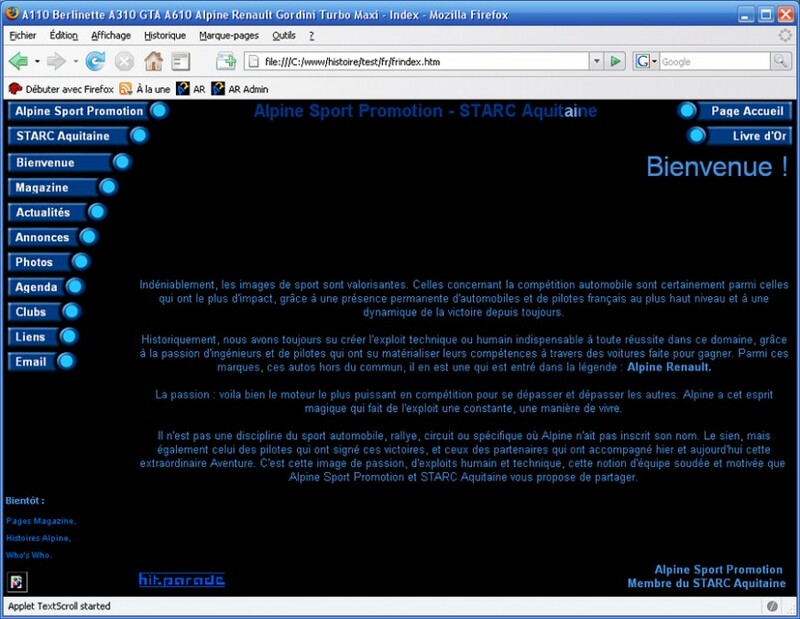 During 1998, all the web site is designed with Microsoft Word. We added some new pages concerning the activities (rallies or meetings) to which we participate. 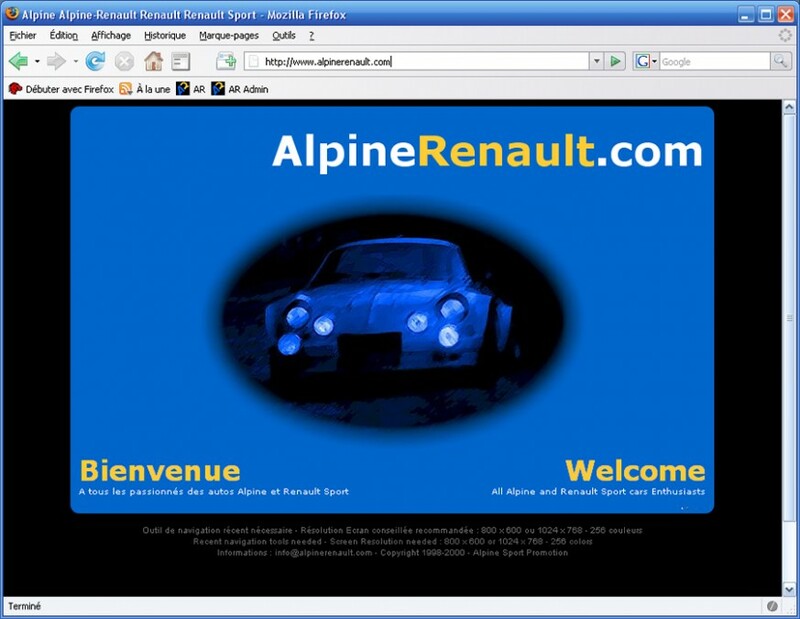 In 1999, we added some new files to introduce Clio Renault Sport 2.0 and Clio Renault Sport V6. Then, we've used Macromedia software to edit the web site. 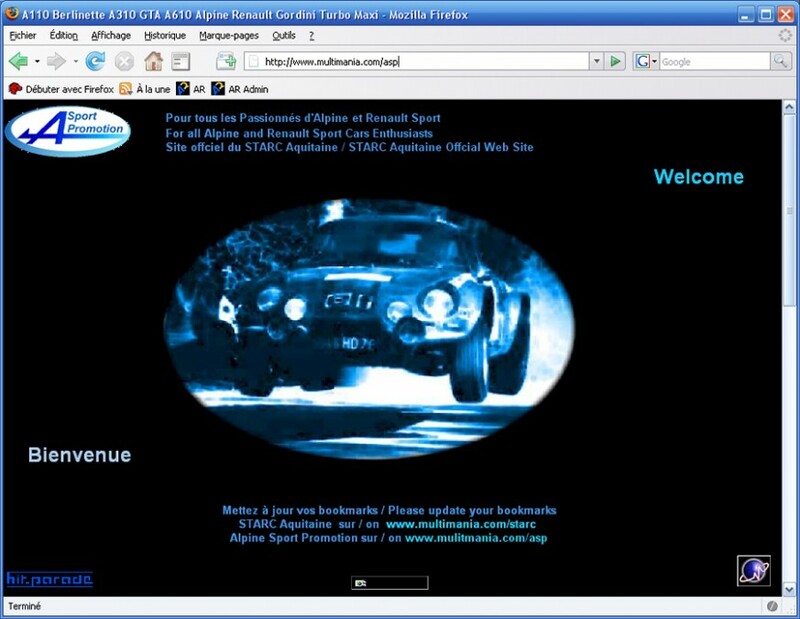 In 2000, we developped a new web design (dynamic and colored menu, dynamic titles...) very fashionable, but this design becomes very boring to manage too. 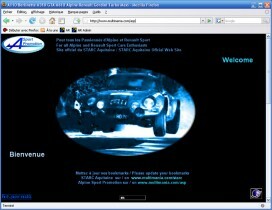 During 2001, a first forum using Phorum solution was installed and, offered a real new place of meetings between fans. 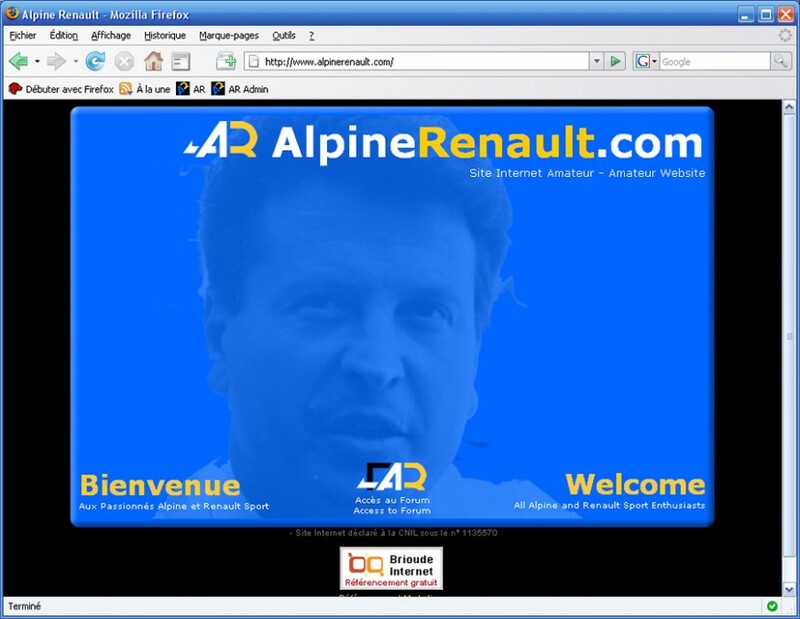 For the first time, the web site is reachable at its new address : AlpineRenault.com, and it was moved to Free.fr, on a free host solution and without any boring advertising. A new design is developped, a first step to separate in the web site text and presentation. 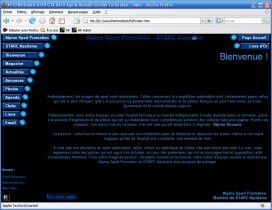 In 2003, the forum move to a new and stronger phpBB solution, and the number of visits explosed! 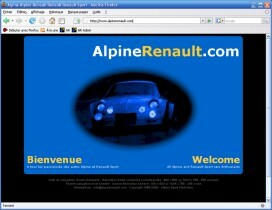 AlpineRenault.com removed advertising banners, they was becoming unsightly and very inefficient. Thierry Falsetti accepted to become the first moderator of this forum. Gwengui and PFLefaou joigned in 2004. 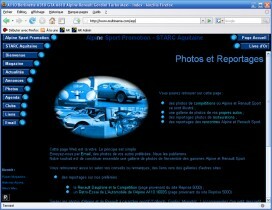 In 2004, we added some photo galleries. 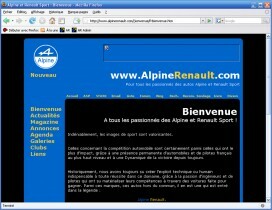 We created some new chapters in the forum, according to the need of the Alpine fans. In 2005, the old class. adv. moved to the FAR. 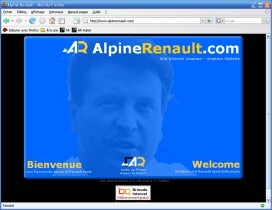 In 2006, we create 2 original logos for AR for AlpineRenault.com and FAR for its forum. Never, I would have thought that from the first page, a complete web site could be born. 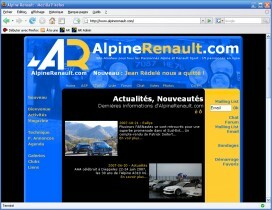 Now, 10 years after, AlpineRenault.com receives between 8000 and 11000 visits per day. FAR has more than 3800 members, the mailing list has around 7500 email addresses. 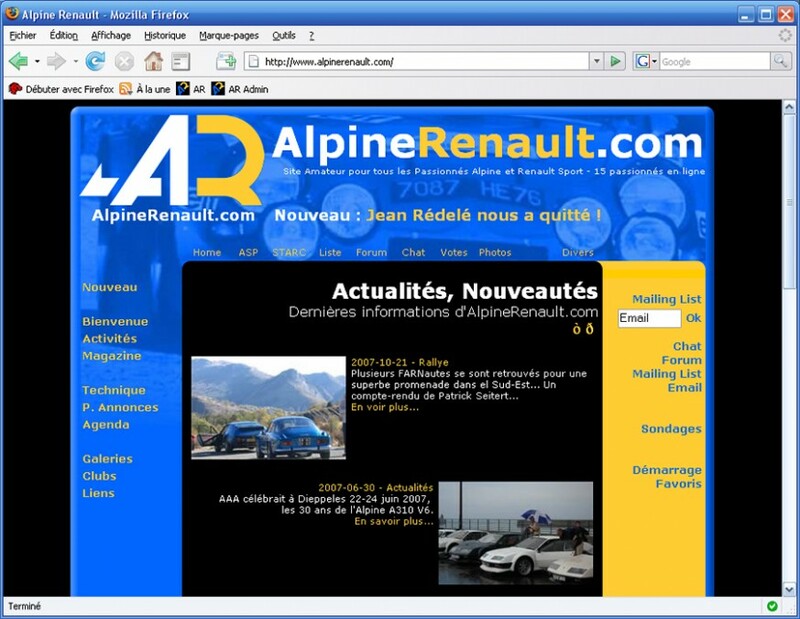 Do not forget that Alpine has produced only around 30000 cars!